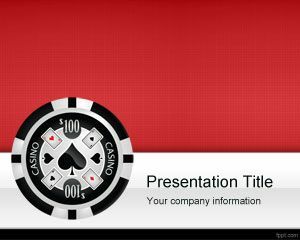 Free Casino Roulette PowerPoint template is another free background design for Microsoft PowerPoint presentations that you can use to prepare presentations for casino and gambling. 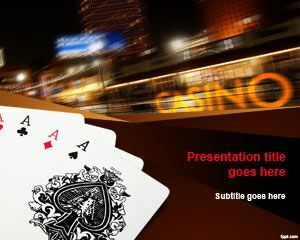 Free Casino PowerPoint template has a nice roulette picture in the slide design with numbers. 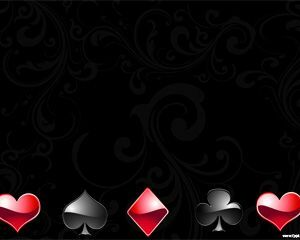 The roulette is one of the most popular casino games named after a French diminutive for little wheel. 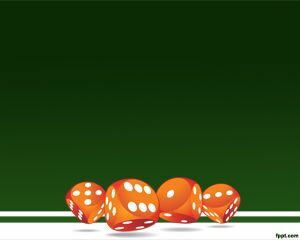 In the roulette game, players may choose to place bets on either a single number or a range of numbers, the colors red or black, or whether the number is odd or even. To determine the winning number and color, a croupier spins a wheel in one direction then spins a ball in the opposite direction around a tilted circular track running around the circumference of the wheel. The winner is chosen by the ball who eventually loses momentum and falls on to the wheel and into one of 37 or 38 colored and numbered pockets on the wheel. 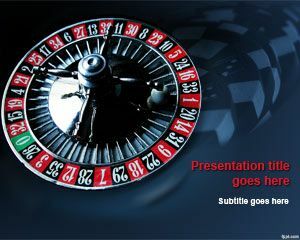 In this free casino PowerPoint template with roulette picture the ball is placed in the number 1 but it has no movement or animation. 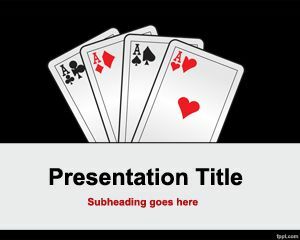 This is one of the best casino templates you can download from this website but you may find other free casino PowerPoint templates and backgrounds for presentations compatible with Microsoft PowerPoint 2010 and 2013.